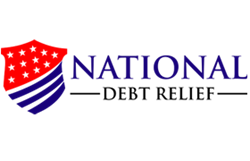 National Debt Relief is continually expanding their reach to help debt ridden consumers all over the country. This September 2013, the company announced that they now offer their debt negotiation services in the state of Colorado. The debt relief company created a page on their official website that is dedicated to Colorado residents to educate them about debt and debt relief that is specific in their state. Here, the company discusses the debt management plans in Colorado and the laws affecting it. The page content begins by discussing how credit card debt negotiation can help consumers reduce their credit balance. The goal of the debt solution is to negotiate with creditors to help arrange one low monthly payment program. This will ideally help consumers keep up with payments because they will be required to pay less than what they used to. At the same time, the creditor is most likely to cooperate in the negotiation process because they will be able to recover what could have been lost if the consumer declared themselves bankrupt. National Debt Relief also educates Colorado consumers about the statute of limitations in their state. The debt relief company explains that if the debt of the consumer is past the statute of limitations, they dont even have to go through debt negotiation. They are already exempt from any legal action because of that debt. The statute of limitations in the state of Colorado is 6 years for all type of debts, whether it is for oral agreements, written contracts, promissory notes and open accounts (e.g. credit cards). The count is supposed to begin on the first day the debt goes past its due. Also, the statute of limitations that should be followed is on the state where the loan or debt is taken. For instance, if a Colorado resident got the loan in Texas, their debt will follow the statute of limitations in Texas. Apart from this, the debt relief company lists the laws that the state follows in the Fair Debt Collection Practices Act (FDCPA). 1. Debt collectors should give proper identification within the first minute when the call is answered. 2. Debt collectors should provide receipts for payments made by the debtor. 3. The debt collector must provide an account statement if the debtor requests for it. This must be given within 10 days and should be free of charge. These statements should show the name of the debtor, name of the creditor, amounts paid, payment date, and breakdown of the payment. 4. On the first attempt to communicate with the debtor, the debt collector must place the following in the statement: For information about the Colorado Fair Debt Collection Practices Act, see http://www.ago.state.co.us/cadc/cadcmain.cfm. National Debt Relief also provided the contact details where consumers can file creditor or collector complaints in the state of Colorado. In addition, the debt relief website provides consumers with other debt laws like the maximum interest rate that a collection agency is allowed to charge in the state – in this state, it is 8%. Also, there is a Colorado wage protection that covers 75% of the weekly net earning of the debtor – or at least 30 times of the federal minimum wage. Whichever is bigger will be followed. To read more about debt relief laws in the state of Colorado, click on this link: http://www.nationaldebtrelief.com/states/colorado-debtrelief/. Visit the National Debt Relief website for more information about debt, debt relief and personal finance. Written by: Sushil Kumar on October 13, 2013.